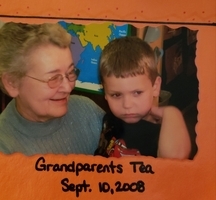 Provide comfort for the family of Reba Arnold with a meaningful gesture of sympathy. Mrs. Reba Joyce Arnold, 80, of Cartersville, died on Friday, December 14, 2018 at Cartersville Heights Care and Rehab Center. Born March 5, 1938 in Rome, Georgia, she was the daughter of the late Jefferson Davis Manning and Mary Dodd Manning. 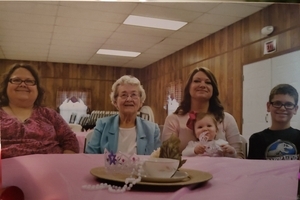 Mrs. Arnold was a member of ATCO Baptist Church and the owner of Max Sales Small Engine Parts and Repair Shop for about 50 years. 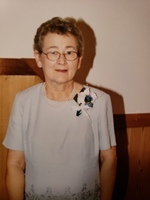 She was a very loving mother and grandmother and was involved with “keenagers” at ATCO Baptist Church. In addition to her parents, she is preceded in death by her husband Harvey Arnold; her sister, Linda Manning; and her brother Julian Manning. Survivors include her children, Joy Collum, Brent Arnold, Max Arnold; her grandchildren, Derek Collum, Tammy Smith; her great-grandchildren, Chandler Smith, Adalyn Smith; and her brothers, Ronnie Manning and Johnny Manning. Funeral Services will be held on Tuesday, December 18, 2018 at 2:30 p.m. in the chapel of Parnick Jennings Funeral Home with Reverend Doug Harris officiating. Interment will follow in Friendship Baptist Church Cemetery. The family will receive friends on Monday, December 17, 2018 from 5:00- 7:00 p.m. at the funeral home. 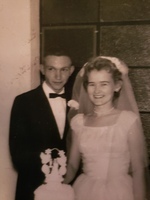 Parnick Jennings Funeral Home and Cremation Services is honored to serve the family of Mrs. Reba Joyce Arnold please visit www.parnickjenningsfuneral.com to share memories or leave a condolence message. To send flowers in memory of Reba Joyce Arnold (Manning), please visit our Heartfelt Sympathies Store. We encourage you to share your most beloved memories of Reba here, so that the family and other loved ones can always see it. You can upload cherished photographs, or share your favorite stories, and can even comment on those shared by others.